When schools slap the ‘Montessori’ name on their buildings, parents often don’t know what they’re getting. Austin, Texas — Mallory Foster was relieved when she, her husband and her stepson’s mother agreed that a local Montessori school would be the right fit for their 4-year-old. They weren’t specifically looking for a Montessori program, but that style of learning appealed to the three parents; it was a sort of added bonus to a school that advertised itself as a “Montessori garden” where kids would spend most of their time outside. Located in a south Austin home, the daycare center boasted more than half an acre of land for children to explore and on which they could grow vegetables in their own gardening plots. Inside, the living room was filled with wooden toys that Foster was told were Montessori supplies. Foster’s experience in finding a “Montessori school” that didn’t actually adhere to Montessori ideals is not unique. At a time when many critics of public schools say young children are pushed into academics too quickly and don’t get much time to play, the Montessori approach appeals to parents – and schools are quick to take advantage of that interest. Even Amazon CEO Jeff Bezos has been impressed by the idea of Montessori, recently dedicating $2 billion to a fund that will support, among other things, the creation of a Montessori-inspired chain of schools. But many critics have pointed out that “Montessori-inspired” does not guarantee authentic Montessori. But after only a few months, Foster started to have concerns about the school’s safety and the quality of the education. Long emails from the director, the only adult on site, came during the middle of the day while the children were awake. Foster wondered how the woman could monitor children while writing. And Foster’s stepson didn’t seem to be learning much. Around Christmas, he told Foster he was spending his days sitting in a room playing with puzzles alone while the other kids were outside. When Foster confronted the owner, she refused to let Foster into the school and wouldn’t sit down for a parent-teacher conference. The parents pulled their child out of the school. A few months later they enrolled him in a public preschool program through their local school district. Within a year, and after multiple bad reviews on social media sites, the self-described Montessori school closed and the owner left town. For parents, the free use of the Montessori name could mean the “Montessori” program in which their child is enrolled will not provide the type of education they want or expect. And some Montessori advocates say this indiscriminate use of the word is damaging to the Montessori reputation and approach, which has been proven to lead to academic benefits for young kids. For years, many middle- and upper-class parents have clamored for spots in private Montessori preschools. 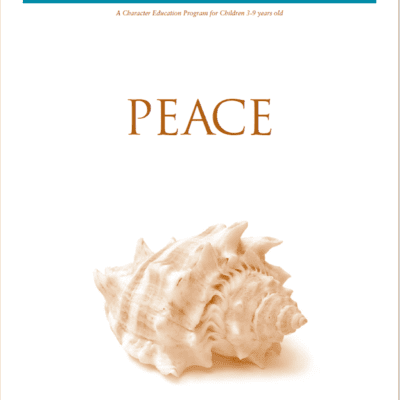 These programs, when done right, are led by specially trained teachers who preside over multi-age classrooms in which self-discipline is encouraged and which feature unique materials that aren’t seen in other preschools. Many parents think a Montessori education encourages creativity and benefits children by providing unique teaching methods aimed at respecting young children and giving kids more control of their learning. 1. Trained teachers: Teachers should be trained in the age group they teach by a teacher-preparation program accredited by the Montessori Accreditation Council for Teacher Education. 2. Multi-age classrooms: Montessori classrooms traditionally feature age groupings of three years, meaning one classroom will serve ages 3 to 6, another will serve first through third grade, etc. 3. Montessori materials: Montessori materials are extensive and grouped into different areas of learning, including sensorial and practical life. Usually made out of a range of materials including fabric and wood, the materials include real objects like pitchers and are meant to be used in multiple ways and at several stages of child development and learning. 4. Three-hour uninterrupted work time: During this time, students direct their learning as they work at their own pace either alone or with peers, while teachers provide individual and small-group instruction. Maria Montessori, an Italian physician and educator, created the approach in 1907 when she opened the Casa dei Bambini, or Children’s House, in a low-income Roman neighborhood. The school, designed around Montessori’s understanding of child development, was meant to provide a unique education to poor children. Montessori believed children needed self-directed activities, special environments, and a teacher as a guide rather than a lecturer. The method spread to America in the early 1900s, but its popularity waned during the 1920s. It was revitalized during the 1960s and grew quickly after one of the nation’s Montessori schools was featured in a Time magazine article titled “The Joy of Learning.” Parents were intrigued by the schools, which seemed to offer an alternative to traditional public schools. Recently, Montessori has received another revival as public Montessori schools have become increasingly common. 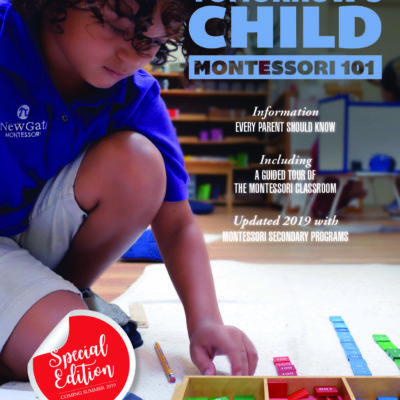 While many parents are drawn to the creative nature of Montessori, the method is steeped in order and consistency, which Maria Montessori found essential for helping children learn. There are specific procedures for everything: how to roll up your rug, how to pour liquid from one pitcher to another, how to draw lines on a paper. Materials are arranged on shelves in order of difficulty and students are not allowed to move from one activity to another until they have received instruction. Research shows a Montessori education can affect a student’s achievement. One study found students who attend Montessori have higher achievement levels on math and literacy tests than their peers in non-Montessori programs, including private preschools and Head Start programs. Another study, of older students, found that children who attended Montessori schools showed significant differences in story writing and social skills compared to their peers who were not enrolled in Montessori. That study also found 5-year-olds in a Montessori program performed better on academic skills like letter-word identification and math skills compared to their non-Montessori peers.But authenticity matters. One study compared student gains in classic Montessori programs, “lower fidelity Montessori,” and other preschool programs. It found children in classic Montessori programs had “significantly greater school-year gains” in executive function, reading, math, vocabulary and social problem-solving than their peers in Montessori schools that were not as authentic or schools without any Montessori affiliation. But many parents may struggle to identify an authentic Montessori school. One of the first signs is an association with or accreditation by a group like the American Montessori Society, Association Montessori International or the International Montessori Council, all of which may differ in their requirements for schools, leading to slight variations in accredited Montessori programs. Teachers should be trained in the age group they are teaching through one of the 137 teacher-training programs accredited by the Montessori Accreditation Council for Teacher Education (MACTE) so they are versed in theory and know how to use the materials correctly. That training time is also when teachers work on their “albums,” or lesson plans. Montessori classrooms are organized into several distinct work areas, each displaying unique Montessori materials. In the practical life area, students may learn how to sew, water a plant, arrange flowers, iron fabric and wash dishes. In the sensorial area, students work with geometric figures, match fabrics and sort materials by size or color. In the math area, students touch sandpaper numbers, group strings of colored beads to learn about numerals and the decimal system and learn multiplication using bars of beads attached to a wooden frame. The language area provides picture books, a sand tray for tracing letters and a large movable alphabet with consonants and vowels in different colors. The cultural area introduces students to puzzle maps, flags and globes. During a daily three-hour work session, students are encouraged to interact with whatever interests them. Materials are “self-correcting,” which means pieces fit together in a specific way, and children must discover the correct way to stack or replace materials in a box. Students receive individual or small-group lessons and can work individually or with peers, ideally staying with an activity for an extended period of time rather than moving quickly from one item to the next. Materials for children in the preschool classes, which serve kids ages 3 to 6, and for the elementary and middle school classes, should include purposeful, authentic Montessori items like the infamous “pink tower,” a series of cubes that introduces children to geometry and volume; blue geometric solids and puzzle maps. And the school should adhere to several key aspects of Montessori, like the uninterrupted three-hour work time and multi-age classrooms, in which, ideally, older children will guide and teach younger children. Some experts say that’s why accreditation is so important. If parents find a Montessori school they like, but they aren’t sure if it’s authentic, accreditation — or, at minimum, an affiliation with a Montessori accrediting organization— offers some sort of quality control. Accreditation is a long, time-consuming and expensive process, which means while schools may affiliate with an accrediting society as a “member school,” not all pursue full accreditation. Hill Country Montessori in rural Boerne, Texas, about 35 miles north of San Antonio in the Texas Hill Country, is one of only two fully-accredited Montessori schools in the Austin and San Antonio, Texas area. An oasis for Montessori purists, the school is located on 10 acres of land. Paved pathways weave between flowers and grassy areas to connect the six different cottages that house the school’s early childhood through middle school classrooms, library, and administrative offices. As children and school officials walk to their classrooms, butterflies flutter along the paths. The school sticks closely to the vision of Maria Montessori. Play is referred to as work and learning is accomplished through activities like cleaning shells and pouring liquid from one pitcher to another. There are no noisy electronic toys or books featuring fantastical ideas like talking animals. Students will not find a laptop or tablet program here; the school has three computers available in the library for older students. At this school, encyclopedias and books are preferable to screens. On a recent October morning inside the classroom for the youngest children, which houses students aged 18 months to 3 years old, eight remarkably calm toddlers were in the middle of their uninterrupted work time. In the center of the room, one child lined up colorful bears on a blue carpet. To the side, a teacher showed the youngest student how to push in her chair at the table. Around the corner, a little girl examined pinecones in a wicker basket. Low bookshelves in every classroom at Hill Country Montessori hold dozens of Montessori materials, from beads to pink and blue “moveable alphabet” sets to colorful cubes that introduce children to algebraic equations. Access to true Montessori materials is one element that research shows makes a difference in the success children have in Montessori. The study that examined the fidelity of Montessori found that engaging with authentic Montessori materialsled to higher achievement than working with non-Montessori equipment. Researchers point out that these studies do not definitively prove that Montessori materials are critical to a child’s potential success in Montessori. Differences in teacher interactions in the high- and low-fidelity Montessori classrooms also may have made a difference. At Hill Country when teachers aren’t teaching, they often alternate between sitting back and observing, waiting for the right moment to prompt a child, and teaching individual or small-group lessons. Montessori educators credit this dynamic as one of the most important aspects of a multi-age classroom. On a recent morning in Rachel Rodriguez’s 3-to 6-year-old class at Hill Country, the class of 12 students felt more like a peaceful yoga studio than a preschool classroom, with soothing classical music playing in the background as children tended to their activities, cleaning seashells, coloring pictures, and building rocket ships out of wooden blocks. While the assistant teacher taught an individual lesson, Rodriguez sat down on a blue carpet with three students. “These are called geometric solids. Can we say that?” she said in a calm, quiet voice. “Geometric solids,” the students echoed. Each child took turns rolling the cylinder between their hands and practicing saying the name. Rodriguez repeated the process with a cube and sphere. As both teachers worked with students, the remaining children continued with their own lessons, clearly understanding some of the key tenets of Montessori: Work on a small, individual rug. Roll up and store the rug when work-time ends. Put materials back in their exact spot on the bookshelf when you’re done. Don’t disrupt another student’s materials or lesson. Of the 1,250 schools affiliated with AMS, only 16 percent are fully accredited, which means parents who want a Montessori school with full accreditation may not have access to one. Melanie Thiesse, director of school accreditation at the American Montessori Society, says that Montessori-affiliated schools can be high-quality, even if they lack accreditation or don’t meet all of the hundreds of elements that make up truly authentic Montessori practice. “There are going to be times when those things aren’t possible,” Thiesse said. State licensing requirements, for example, are often are at odds with some essential Montessori elements like multi-age groupings. And there are different levels of association within accrediting groups that still point to Montessori schools that are on the right track and attempting to be high-fidelity schools. Lake Hills Montessori, just west of Austin, hasn’t pursued full accreditation, although it is recognized as a “full member school” by the American Montessori Society. Founder Karnstadt believes the school would meet accreditation standards if it embarked on the AMS accreditation process, which can take one to two years to complete and cost a school more than $1,100 in fees alone. Karnstadt has meticulously designed the school, tucked in an area of rolling hills 45 minutes outside of Austin, to pay homage to “true” Montessori. Children roam freely in multi-age classrooms. The students wear uniforms of khaki, white and navy, so clothing concerns don’t detract from their learning. Although research has yet to isolate exactly what it is about the Montessori approach that may lead to student success, looking for schools that adhere closely to the main tenets of Montessori is likely to lead parents to a more authentic school. Some advocates, like Seldin, the president of The Montessori Foundation, are even less critical about the variance parents may see among Montessori schools and hesitate to use the word authentic, preferring “fully implemented” or “partially implemented” instead. Seldin said he’s glad to see people trying to use elements of Montessori in different situations. And ultimately, he said, it’s important for parents to like the school, whether it’s a fully implemented Montessori or not. “Are you happy? Is your kid happy?” Seldin asked. Parent Mallory Foster admits she was turned off to the idea of Montessori after her experience with the Montessori imposter. “I was definitely disillusioned with this idea of you know, a ‘non-mainstream approach,’” Foster said. But she eventually gave Montessori another shot. When she was looking for childcare for her younger son and daughter, she called a local Montessori school, took a tour, and checked that the school was affiliated with a school accreditation organization before enrolling her kids. From the beginning, she said, she could tell that this school truly adhered to Montessori principles. “I could really see how different their approach is, and continues to be,” Foster said. Her children have trained Montessori teachers in their classrooms. At parent-teacher conferences, the teachers take out materials and show parents how they are used. was produced by The Hechinger Report, a nonprofit, independent news organization focused on inequality and innovation in education. 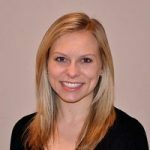 Jackie Mader is multimedia editor for the Hechinger Report. The Hechinger Report provides in-depth, fact-based, unbiased reporting on education. She has covered preK-12 education and teacher preparation nationwide, with a focus on the rural south. Her work has appeared in the The Denver Post, the Sun Herald and The Clarion-Ledger, as well as on Time.com, The Atlantic and NBCNews.com. She was the winner of the 2013 Front Page Award for In-Depth Newspaper reporting from The Newswomen's Club of New York, as well as the 2014 Nellie Bly Cub Reporter Award from the New York Press Club. Her most notable award, however, came from The California Dried Plum Association when she was 13-years-old and won a recipe contest for her "Puffy Plum Cake," which she dreamt up during a particularly uneventful summer vacation. She received a bachelor’s degree from Loyola Marymount University and an M.S. from the Columbia University Graduate School of Journalism. Prior to attending Columbia, she taught special education in Charlotte, N.C. and trained first-year teachers in the Mississippi Delta.